Prequalifying for a home construction loan is no easy process, so muster your patience. 2. Does a Pre-qualification Affect Your Credit? If you think buying or rehabilitating a tract home is hard work, consider having to start from scratch and build from the ground up. But before you mull bathroom tile and exterior trim, a home construction loan is probably on your radar. Unlike regular home loans, these are more complex, but once you secure one, a large part of your home building plan is done. Learn about the unique payment schedule that applies only to home construction loans. This tip may come as a surprise if you figured that you'd make a down payment and pay off the note over time, but that’s not how home construction loans work. With construction loans, you agree to a variable rate note that requires you to pay only interest on the balance throughout the building process. Once local government officials issue a certificate of occupancy, the entire balance of your loan comes due. Clean up your credit so it’s not the biggest obstacle of all when you try to qualify for a home construction loan. Pay down burdensome credit card balances and double-check all of your credit information via the three usual monitoring bureaus – Equifax, Experian and TransUnion – to remove errors and verify your FICO scores so lenders look favorably on your request for a home construction loan. Apply only to banks known for giving home construction loans in your geographic region. This handy tip can save you time and frustration, not to mention money. Pursue a lender with neither the interest nor the funds to back home construction loans, and you’ll spin your wheels unless you can find a lender who's underwritten your mortgage loans in the past. To avoid potential pitfalls, don’t name yourself as your own general contractor, even if this is your day job. Some lenders have been known to turn down loan applicants who list themselves as the general contractor. Nobody says you can’t work on the home; you just can’t be the contractor of record. This tip also applies to appraisals. 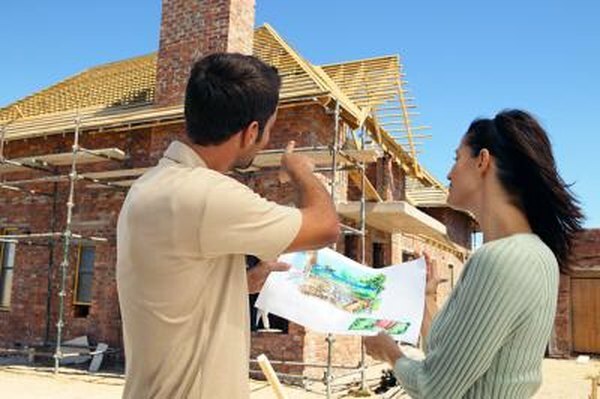 Even if you appraise property for a living, hire someone else to assess your construction project, advises Money Crashers. Expect your loan originator to have a say in the “draw amounts” needed to pay for on-site work at pre-scheduled times during the buildout. If you expected to be the only one approving payouts at intervals, this tip could come as a big surprise to you. Sure, you can oversee disbursements since you’re ultimately responsible for paying off your home construction loan, but banks can retain the authority to authorize payments, too. Anticipate construction delays, glitches, permit problems and setbacks that can alter the time frame originally agreed upon by all home construction loan signatories. Since a construction loan, unlike a mortgage, “isn’t meant to be around for a long time,” warn both Bankrate and Money Crashers, deadlines are serious business and you want to meet them. However, be prepared to deal with the possibility of reaching your “end loan” date while your home is still under construction. Typically, you refinance your note at this point, if the lender agrees. Pursue your home construction loan with your eyes wide open. Interest rates can change in the middle of construction, warns Real Estate.com, and that balloon pay-off can be particularly difficult to contend with if construction delays are catastrophic. But if you've taken care of the business at hand, you'll be prepared for any disruptive scenarios that come your way while you build.